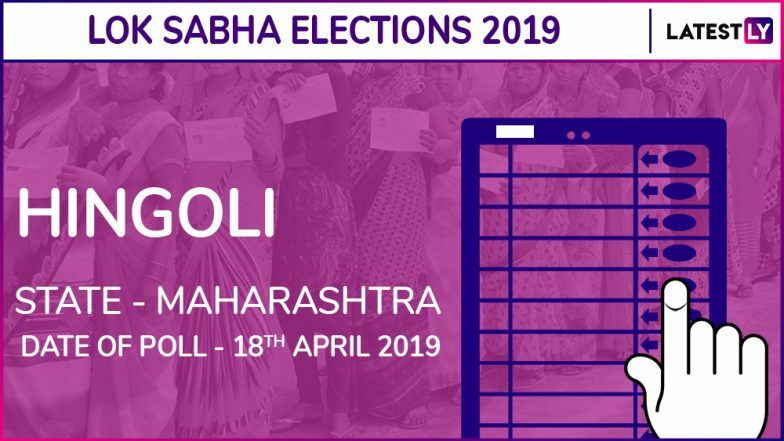 Mumbai, March 24: Hingoli, one of the 48 Lok Sabha constituencies in Maharashtra, will go to polls on April 18 in the second phase of general elections. The counting of votes will take place on May 23 and the results of Hingoli Lok Sabah election will be announced on the same day. Rajeev Shankarrao Satav of the Congress is the incumbent Member of Parliament (MP) from Hingoli parliamentary seat. In 2014 Lok Sabha election, Satav defeated Shiv Sena candidate Wankhede Subhash Bapurao. While the Shiv Sena, this time, fielded Hemant Patil, the Congress declared Wankhede Subhashrao Bapurao as its candidate from Hingoli seat. The process of filing nomination for Buldhana Lok Sabha election began on March 19. The last day for nominations was March 26. Maharashtra Lok Sabha Elections 2019 Dates: Constituency-Wise Complete Schedule Of Voting And Results For General Elections. Scrutiny was done on March 27 and the last date for the withdrawal of the nominations was March 29. In Maharashtra, the ruling BJP-Shiv Sena allaince will face a tough challenge from the Congress-NCP combine. Check Full Schedule of Lok Sabha Elections 2019.